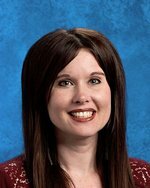 Mrs. Amber Hipshire graduated from Tusculum College in 2000 with a B.A. in English/Secondary Education. In 2008, she graduated from ETSU with an M.Ed. in Secondary Education with an English Concentration. She then graduated from LMU in 2017 with an Ed.S.